The greatest financial investment most Americans will ever make is in the purchase of a home. Our commitment is to Secure and Protect Americans home equity. To protect Homeowner's Equity from another housing market crash such as in 2008, where over Six Trillion Dollars in home equity was lost (Watch Video). The major loss most homeowners suffer in a foreclosure is not only their home, but their home's equity. Even when faced with foreclosure, you do not have to lose the substantial equitable interest you've created in your home. It owes you and those losses can be be avoided. For example, most states have enacted laws that allows you to recover the cost of the improvements you have made while living in your home. This is to avoid lenders from being unjustly enriched from your sweat equity when they sell the home to the new buyer. In simple terms an unjust enrichment may occur any time one party profits at the expense of another party. It can happen when you have been subjected to a foreclosure after making costly and substantial repair and improvements on your home to the benefit of your lender. ​​To hedge against the unjust enrichment of improvements made on real property, most states have enacted laws that entitle the party being foreclosed on to recover the cost of said improvements. For example, under Washington law: "In an action for the recovery of real property upon which permanent improvements have been made ... the value of such improvements must be allowed as a counterclaim." This is just one of many legal rights and remedies we assist homeowners in exercising. ​In addition, homeowners are entitled to recover excess home equity funds that may be realized after a foreclosure sale and we assist in that process. These are “excess funds” which belong to you after all arrears, fees and penalties have been paid. That is something your lender does not disclose. Because of banking deregulation and numerous other economic factors, the climate of home ownership has changed. The days of lending institutions having an interest in keeping homeowners in their home is over. That's why implementing a program and strategy to protect your equity and prevent foreclosure is now a necessity. It's the ultimate tool to level the playing field and protect your equitable interest. Our primary goal is always to avoid foreclosure and keep you and your family in your home! ​Yes, it can happen to you. When most Americans purchase a home, they never think that they may one day be looking at the possibility of foreclosure due to an unforeseen Life Event.In the excitement and while signing for the purchasing of a home, most homeowners never read their mortgage contract. Regardless, you are still held liable for it's content. ​​Because the most valuable purchase you will possibly ever make is your home, Real Estate is a highly regulated industry. We use these Regulations to assist you in exercising your Rights under numerous State and Federal consumer protection laws to keep you in your home. Our primary goal is to avoid foreclosure and keep you in your home. 1. The lender is barred by the statute of limitations to foreclose. 2. The Right to Rescind your Mortgage Contract has a three (3) year statute of limitations. 3. The foreclosure proceedings are barred by the six (6) year statute of limitations. 4. 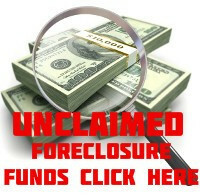 ​The Party seeking foreclosure is not the owner of the promissory note. 5. The Lender failed to respond to the loan modification request or Notice the homeowner of their Right of mediation. TAKE ADVANTAGE OF FREE SOLUTION ORIENTED RESOURCES! ​The number one question most homeowners have when facing the possibility of foreclosure is: What can I do and what are my options? Answer. If you Act and Act Fast, Your options are Unlimited. Your failure to Act Immediately - substantially diminishes Your options. Ignoring the notices will surely result in the loss of your home to foreclosure. In taking Immediate Action, below are a few primary Do's and Dont's when confronted with a pending foreclosure. Remember, DOING NOTHING IS NOT AN OPTION! ​ 10 BILLION DOLLARS IN FEDERAL FUNDS MADE AVAILABLE! To find out if you live in a state that is eligible to participate in the Hardest Hit Fund program established by the federal government to provide financial aid to families in states hit the hardest by the housing market downturn, CLICK HERE. HHF funding was develop locally-tailored foreclosure prevention solutions in areas that were hard hit by home price declines and high unemployment. ​More than 10 billion dollars have been allocated for this purpose. Hardest Hit Fund programs vary state to state, but may include (1) Mortgage payment assistance for unemployed or underemployed homeowners, (2) Principal reduction to help homeowners get into more affordable mortgages, (3) Help for homeowners who are transitioning out of their homes and into more affordable places of residence, and (4) elimination and down payment assistance efforts. - KEEP ALL NOTICES including the envelopes they arrive in. - OPEN THE NOTICES to avoid missing critical deadlines and response times. - IMMEDIATELY RESPOND TO THE NOTICES or you can email or fax the notices to our office and we can do a response on your behalf at no cost to you. - DO NOT MOVE OUT OF YOUR HOME or your Rights of Possession are waived. - DO NOT IGNORE OR THROW AWAY ANY NOTICES as they are Time Sensitive. 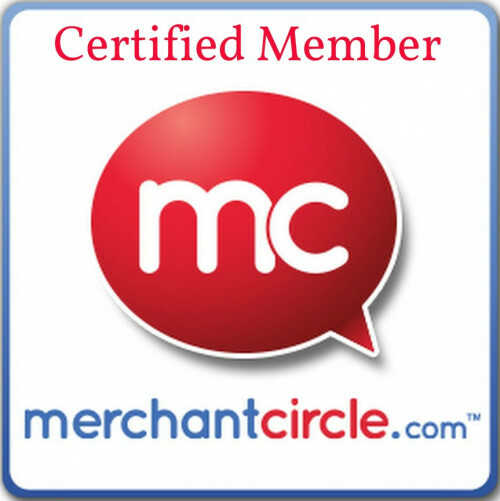 ​PREDATORY LENDER ALERT! : If you purchased a home under a Contract for Deed and later found the home to be in need of EXCESSIVE and COSTLY Repairs, you may be able to Rescind your Contract as unconscionable. Additionally, you are entitled to file a claim and recover the cost of permanent improvement you've invested in your home under the doctrine of unjust enrichment if the lender is currently seeking foreclosure. Contact our office Immediately for a FREE EMERGENCY CONSULTATION! O​​ur number one priority is to keep you and your family in your home. At all times while assisting you in keeping your home, we are governed by and shall remain in compliance with The Mortgage Relief Services Rule (MARS) guide. Complete the foreclosure questionnaire below prior to your FREE 1 Hour Consultation. Upon receipt of the questionnaire, you will be contacted by our office to schedule a time to discuss your options and allow us to answer any questions you may have. Call 206.686.1070 or 800.225.1965 for immediate assistance! 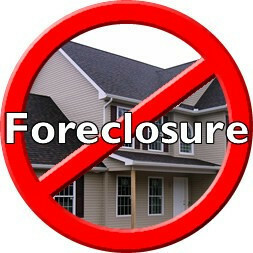 ​REVIEW OUR IMMEDIATE ACTION FORECLOSURE PREVENTION PLAN! ​Lose Your Home or Your Home's Equity. To get started, you must first complete the Home Equity Foreclosure Questionnaire. After completing and submitting the Questionnaire, we will schedule you for a FREE 30 minutes consultation, home equity value assessment, and a complimentary QWR submission. Please remember, our first priority is to avoid foreclosure and keep you and your family in your home. Your Immediate Action is critical in the success of this goal. CALL: 206.686.1070 or 800.225.1965 to speak with a home equity protection consultant.